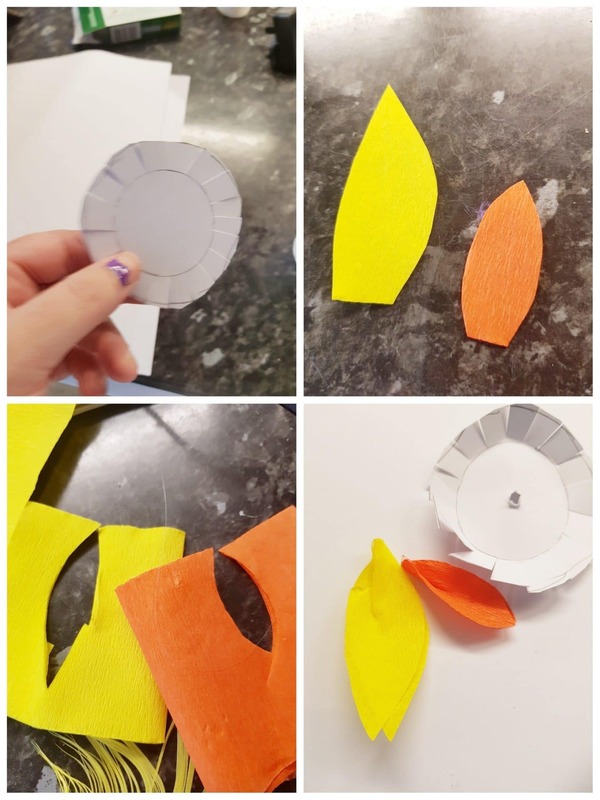 This month, the Bostik Blogger theme is Halloween and so we have been crafting some great decorations that are really easy to make. 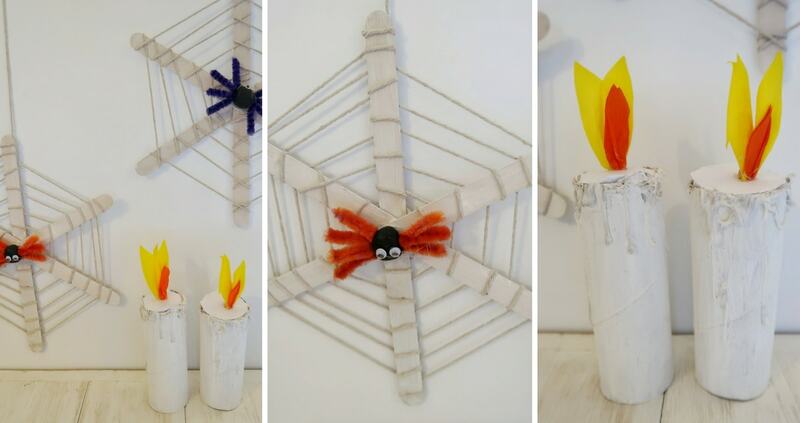 These three easy Halloween decorations create a spooky atmosphere for a party or trick or treaters. They also work well as craft activities for children. We have been making Lolly Stick Spiderwebs, Cardboard Candles with Dripping Wax Effect and Jar Jack-o-Lanterns. You can see how to make each below. Air drying clay to make spiders. 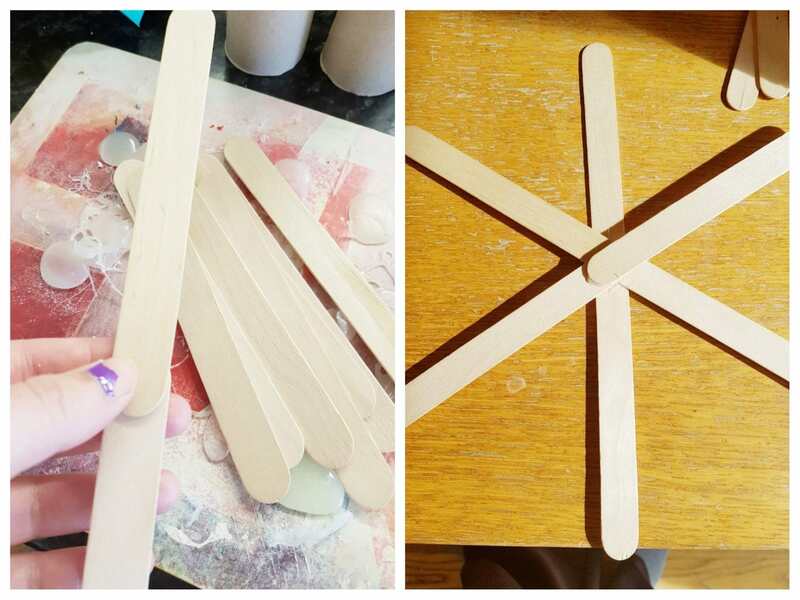 The first step is to stick the lolly stick together to create the effect of ‘spokes’, like a bike wheel. 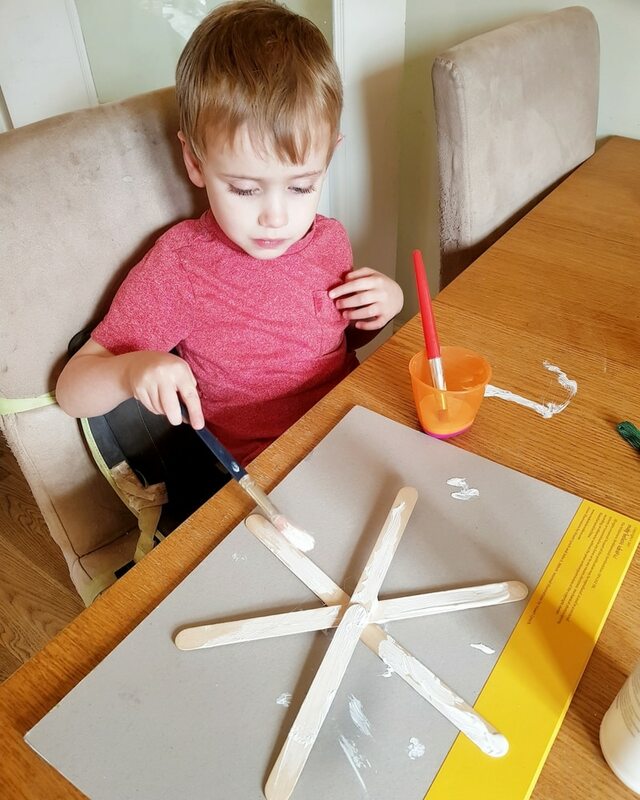 I stuck two lolly sticks together to make a longer stick and then arranged them around a central point to create the shape. The children then painted each of their spiderwebs white, with normal poster paint. 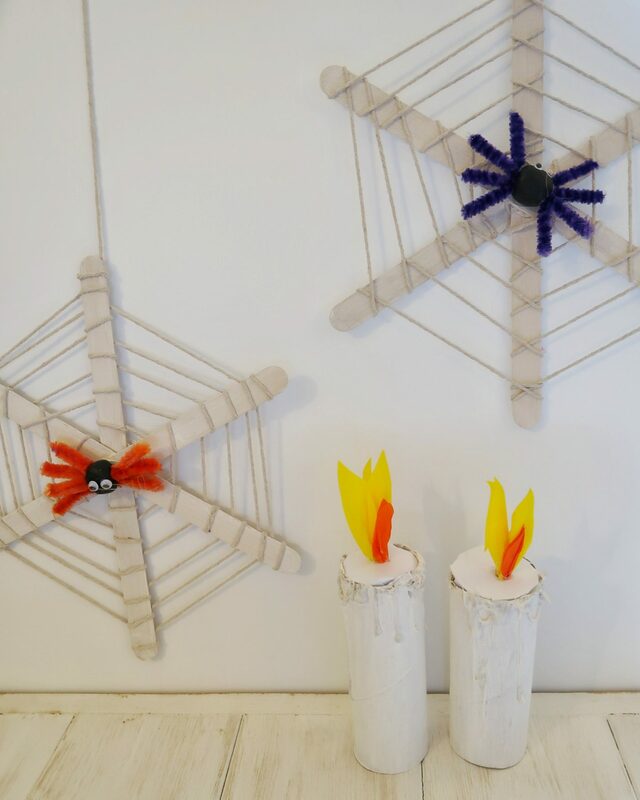 We allowed the lolly stick webs to dry before moving on. They may need two coats depending on the type of paint you use. 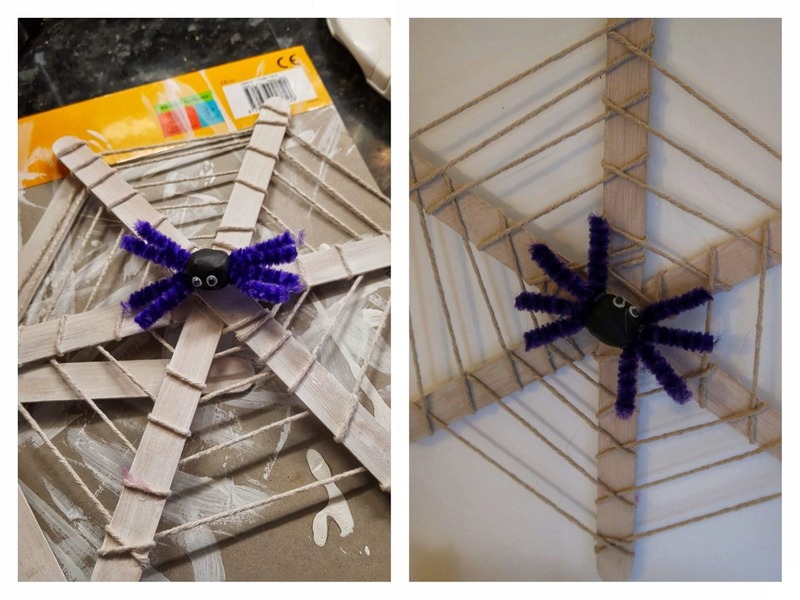 While we were waiting for our lolly sticks to dry, we made spiders. We used air drying clay, pipe-cleaners and googly eyes, but you could just draw some or twist pipe-cleaners together. 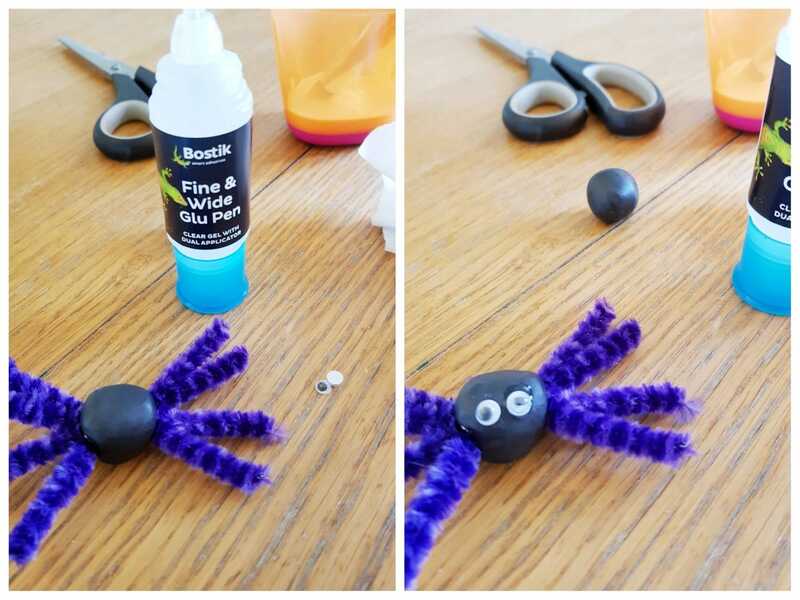 I glued pipe-cleaner legs and googly eyes onto the spiders once the air-drying clay was set. Once the webs were dry, I used white string to create the web effect. I started in the centre and would the string around each ‘spoke’, working my way out and creating a spiral shape. Once I reached the outside edge, I glued the string into place in several spots. I found using a glue gun was particularly effective for this, as the wisps of leftover glue added to the web effect. I made sure I left a length of string at the end in order to hand the decoration. Finally, we choose a spot for our spider to live and glued him in place. The webs could then bu hung on walls or in doorways by the string. 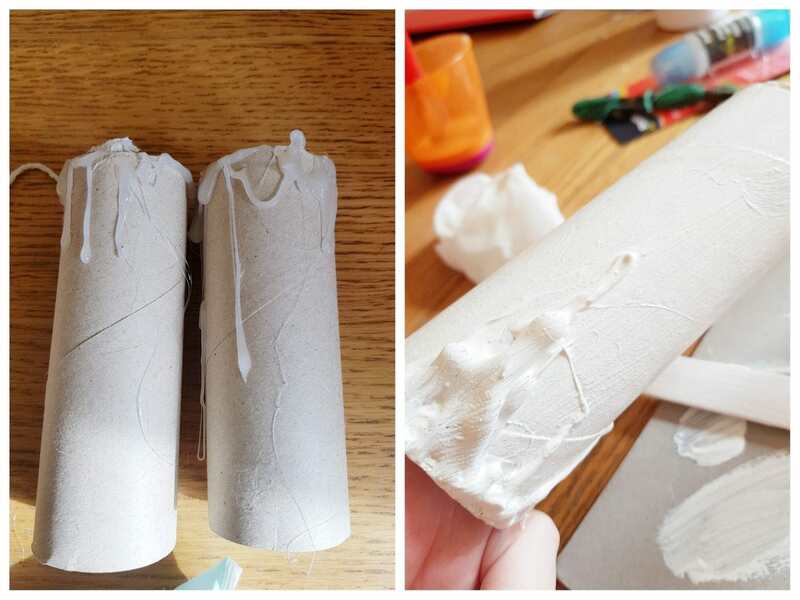 If you are using longer tubes then you might wish to cut them to the size you want. The next step is to create the glue ‘wax dibbles’. This is quite tricky so be very careful. I stood the tubes on a sturdy board that I did not mind ruining and dribbled the glue around the edge of the tube, in quite large quantities, until I was happy with the effect. 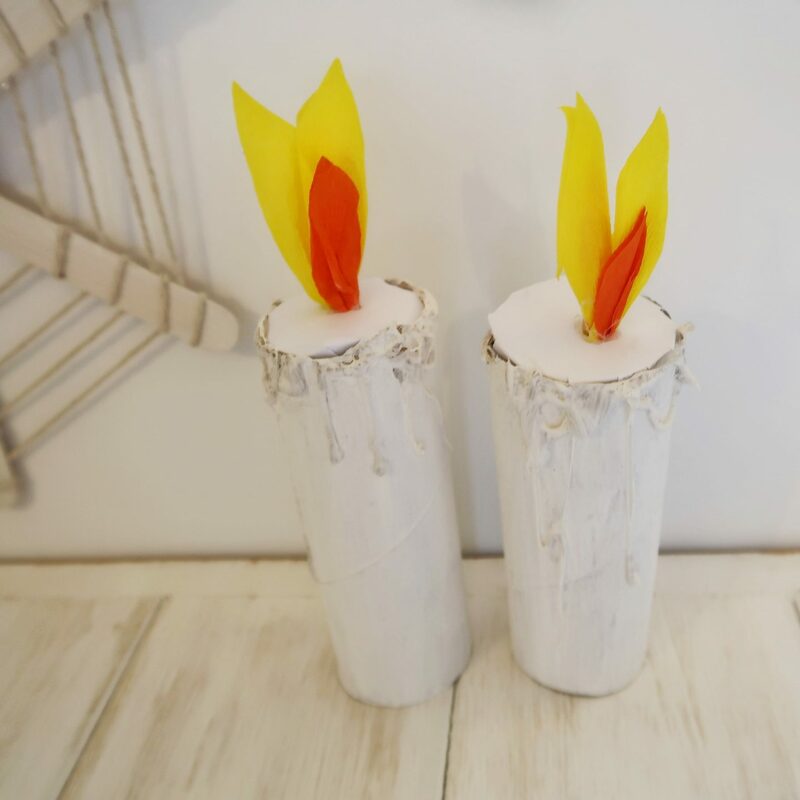 Once the glue is completely cool and dry, the children can paint the candles. After a few coats meant that the tubes were completely white, and they had dried, I made the flames. For this, I used white card and yellow and orange crêpe paper. Firstly, I used a pencil and drew around the inside of the cardboard tubes. Then I drew a larger circle around that and cut a fringe, creating flaps to glue the top of the candle in place. I also made a hole through the centre using a pencil. Using various sized tear shapes made from the crepe paper, I formed a flame and glued it in place in the hole. Then, bent the ‘fringe’ part of the card and applied glue to fix the card in place on top of the candle. 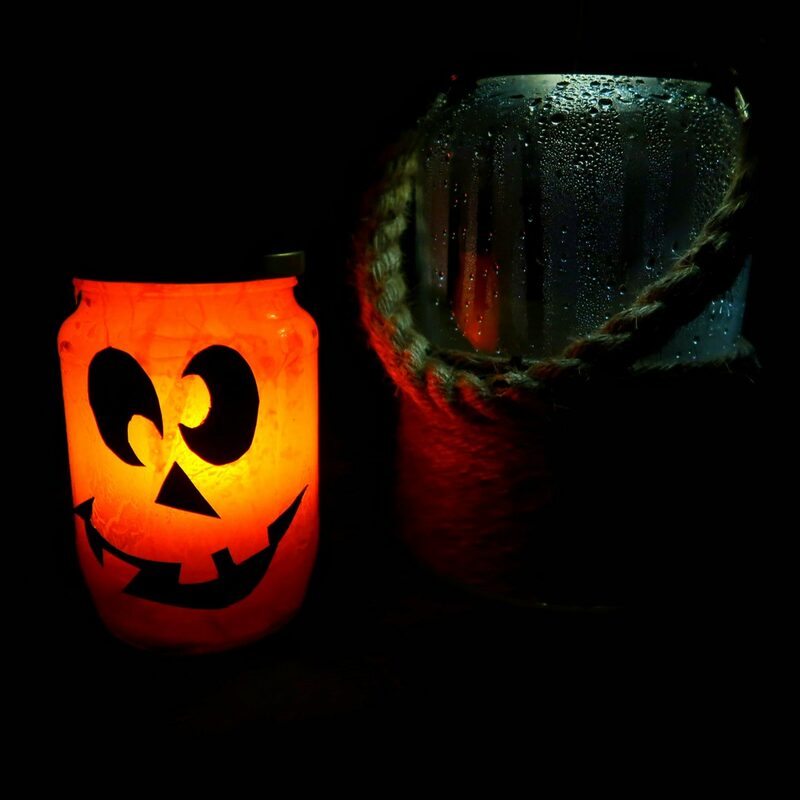 And there you have it – spooky dribbly candles without the fire hazard. 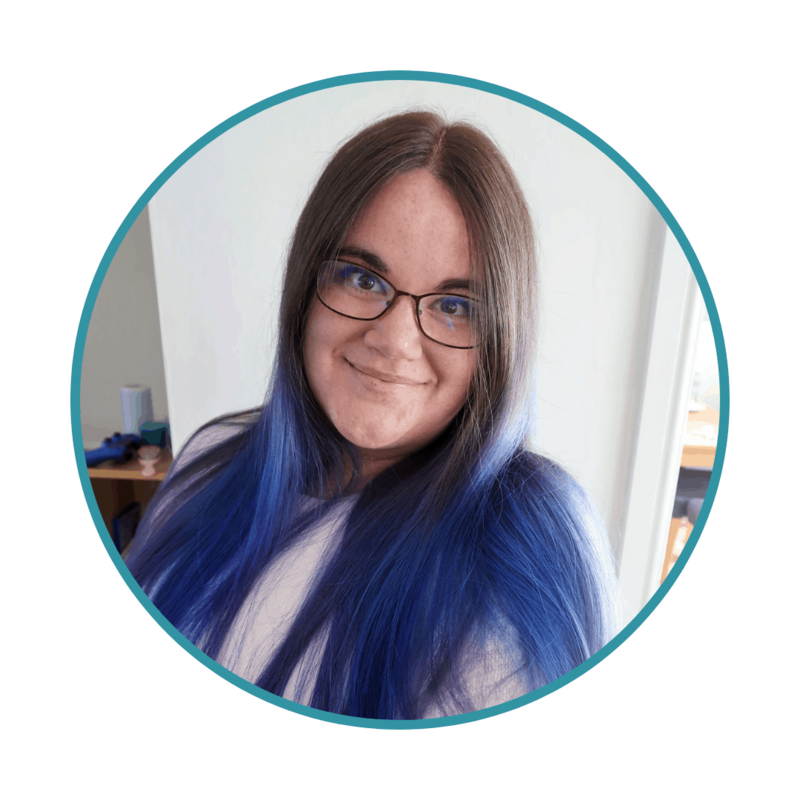 My last decoration is a bit of a cheat – as it was actually last month’s Bostik Blogger challenge, with the theme of monsters. However, I think it goes perfectly with these other easy Halloween decorations, as it is also effect but really simple to make. You can find full instructions and materials for making them here. We hope you have a lot of fun getting spooky with these ideas this Halloween! Please note, Bostik send us a box of lot items in order for us to complete the Bostik Blogger theme each month. You can find more Bostik Challenges in our craft category.